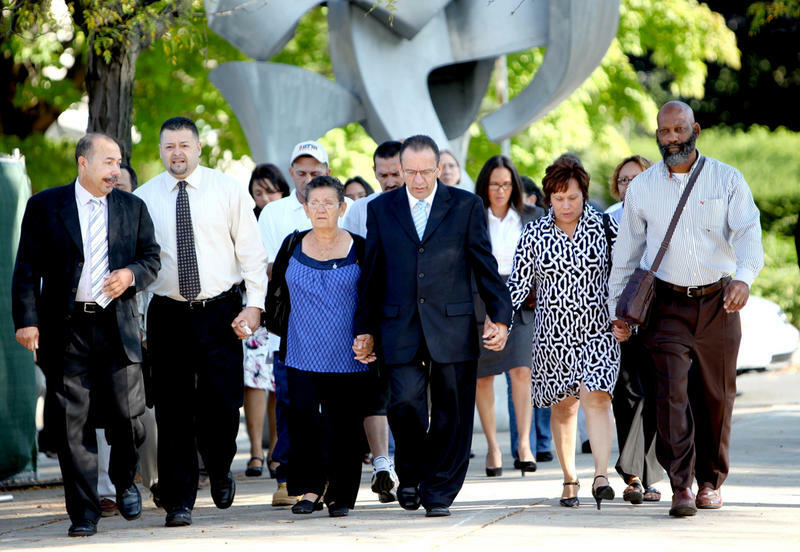 Eddie Perez walks to court with family and supporters. The state's appellate court has thrown out the 2010 corruption convictions of former Hartford Mayor Eddie Perez and ordered two new trials. The court ruled that there was a enough evidence to convict Perez, but that the trial court judge made a procedural error that merits two new trials. Perez was convicted over three years ago on separate charges relating to bribery and extortion while he was mayor. A judge sentenced him to three years in prison. But Perez then appealed the decision and was allowed to remain free while that process was pending. In the appeal, Perez's attorney chiefly argued that the two cases against his client shouldn't have been tried together -- that having one court proceeding for two separate cases would make it impossible for Perez to get a fair trial and would harm him in the end. State prosecutors argued that they wanted to combine the cases for the purpose of judicial economy. And despite what the appellate court called "near herculean efforts" to instruct the jury to keep the two cases separate, it said the trial judge still erred in combining the two cases from the get go. The result? The appellate court has ordered two new trials -- one on the bribery charges, the other on the extortion charges. Perez's attorney, Hubert Santos, did not return a call for comment. The state says it plans to continue the prosecution -- either by appeal, or by retrial. 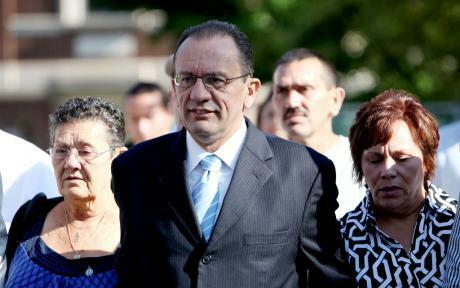 Former Hartford Mayor Eddie Perez was back in court today, appealing his 2010 convictions on corruption-related charges. Perez was sentenced to three years in prison but has been free while his appeal is pending. Perez was convicted for two separate incidents. In Perez Appeal, Is One Trial Fair For Two Crimes?